After dilly-dallying for over a week, the Congress on Sunday finally announced that its president Rahul Gandhi will contest from a second Lok Sabha seat, Wayanad in Kerala, to “espouse the aspirations of South India”. With this, Rahul would be following in the footsteps of grandmother Indira Gandhi, who had contested from Rae Bareli in Uttar Pradesh and Medak (now in Telangana) in her comeback elections in 1980, and mother Sonia, who had contested from Amethi in UP and Bellary (Karnataka) in her maiden electoral fight in 1999. Rahul’s decision, in line with the Gandhis looking South when in crisis, appears to be a bid to make a larger political statement — that, unlike his prime challenger, Narendra Modi, he is not confining himself to the North. Rahul is also contesting from Amethi, from where he has won thrice earlier. The BJP has again fielded Union minister Smriti Irani against him. However, the decision also leaves Rahul open to the charge — both from the BJP openly, and the Left silently — that, unlike Wayanad, Amethi may no longer be a safe seat for the Congress president. While again underlining the party’s shrinking footprint, the Congress move has also exposed faultlines in the Opposition camp. The decision may also leave the party on the defensive in UP, where it has ambitiously fielded Priyanka Gandhi Vadra to regain lost fortunes. Congress sources did not rule out the possibility of Priyanka Gandhi Vadra contesting from Varanasi against Prime Minister Narendra Modi, ostensibly to counter this insinuation that Rahul had run away from UP. However, the Gandhis are reportedly yet to make up their mind on Priyanka taking the electoral plunge. A senior Congress leader said, “Modi would be forced to spend more time in Varanasi if Priyanka Gandhi contests from there… It will also give a message that we are serious when it comes to UP.” Another leader speculated that she can contest from Amethi in the event of Rahul winning from both the seats and deciding to keep Wayanad. 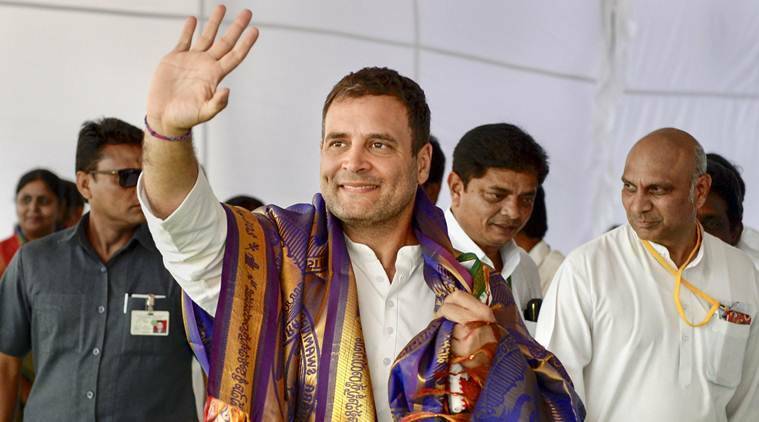 According to sources, the Congress had zeroed in on three seats for Rahul to contest from in the South — Wayanad, Kanyakumari in Tamil Nadu and Bangalore Rural in Karnataka. Wayanad is the safest best among the three. While leaders from Tamil Nadu urged Rahul to contest from there, the Congress is now a fringe player in the state and even if the Congress president had won from Kanyakumari, the credit would have gone to the DMK — the leader in its alliance in the state. On the contrary, in Karnataka, the Congress is still a big force and both state party president Dinesh Gundu Rao and former chief minister Siddharamaiah wanted Rahul to contest from the state. However, party leaders say, the Congress could not zero in on a safe seat in Karnataka. Bellary is no more a Congress bastion — the BJP won both in 2009 and 2014 — and is now a reserved constituency. The Congress’s other strongholds in the state, like Raichur, Chitradurga and Gulbarga, are also all reserved. Bangalore Rural was on the table, but it was eventually ruled out as the seat is considered a bastion of D K Shivakumar, who is facing corruption allegations. As for the other two southern states, Andhra Pradesh and Telangana, the Congress is more or less extinct there since the messy 2014 bifurcation. Moreover, the state units of neither sought out Rahul as a candidate. About Wayanad, senior leader A K Antony said on Sunday, it is “an ideal constituency that will in a way satisfy the sentiment of the three southern states”. “Wayanad, even though it is in Kerala, is a trijunction with Tamil Nadu on one side, the nearest parliamentary constituency is Nilgiris, and Karnataka on the other side. The nearest constituency in Karnataka is Chamrajnagar. Wayanad is situated in Kerala but is surrounded by Karnataka and Tamil Nadu,” he added. Congress spokesperson Randeep Surjewala said Amethi has been and will always be Rahul’s “karmabhoomi” and he could never leave it. “This fight is to give a message to the people of southern states that they are deeply valued, deeply respected. Their culture, their language, their way of life, their food habits, the clothes that they wear, their entire way of life is important to the Congress as also to India as a unified country. This is a fight against those forces who seek to divide India based on colour, language, way of life, food habits and clothes you wear,” Surjewala added. In her 1980 election, Indira had won by a much bigger margin from Medak than in Rae Bareli. She had also chosen Chikkamagaluru in Karnataka in a Lok Sabha by-election in 1978 to make her comeback after losing in 1977 in the wake of the Emergency.